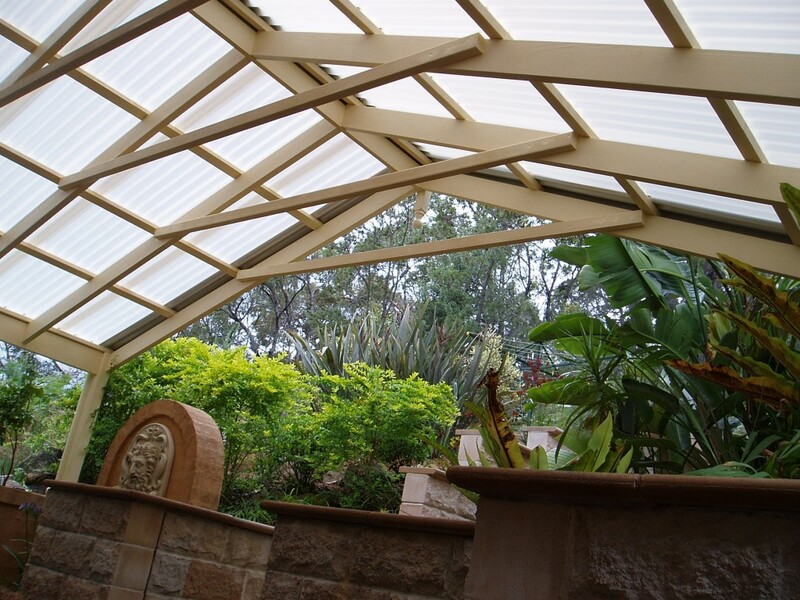 At BRANSONS BUILDING MATERIALS based at Sydney, we stock a range of treated pine decks and Merbau Decking, Hardwood Decking, and various other species of Hardwood at our Taren Point, Sydney, NSW based showroom. As with all timber decking, it is very important that your sub floor (bearers and joists) are correctly installed to accommodate your decking. 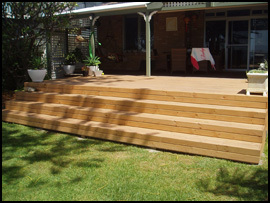 All our decking timber is of high quality first grade decking. Treated Pine Decking for your deck gives you the perfect outdoor entertaining area, a deck is the perfect place to relax and entertain your friends and family. There are good reasons for using treated pine decks, it is easy to nail and will last a long time and is also cost effective. 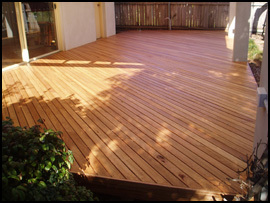 If you are thinking of using Treated Pine Decks at your home, it is important to try and use decking that is arsenic free. 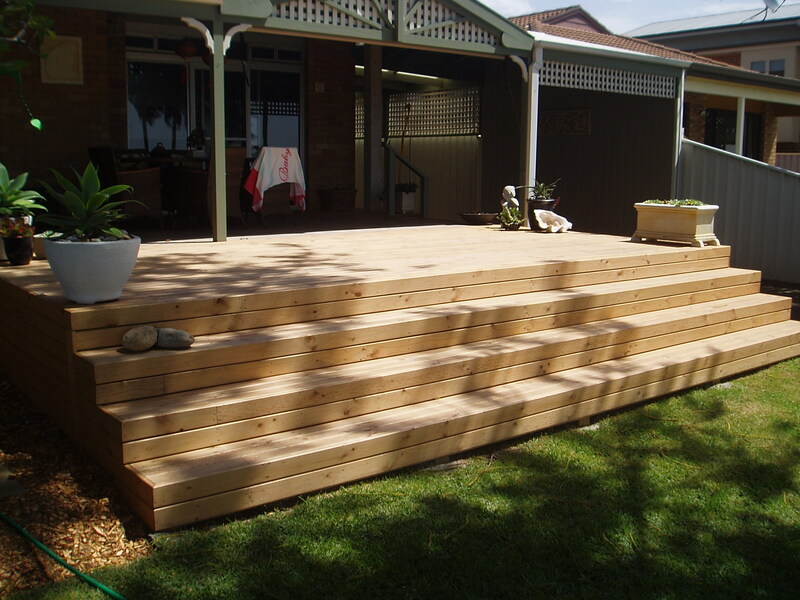 The best Treated Pine Deck to use is LOSP and ACQ decking. 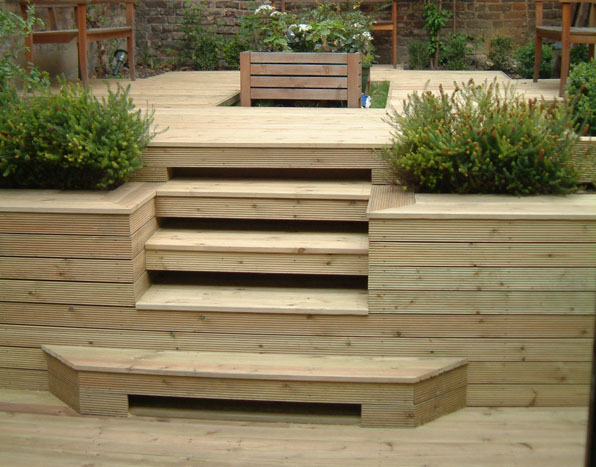 Treated Pine Decking is available in 70mm width and 90mm widths 20mm thick at our Sydney showroom. 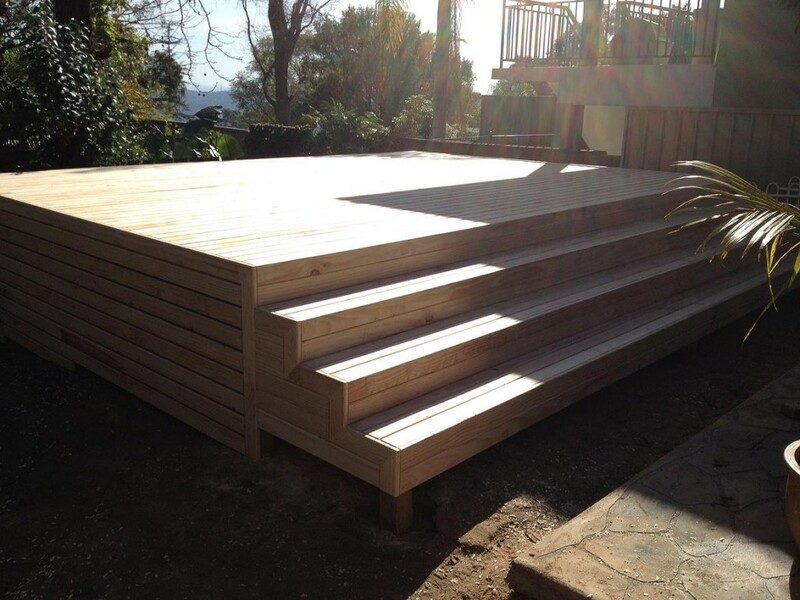 When installing treated pine decks, it is important to remember that the grooved side of the timber is placed down. 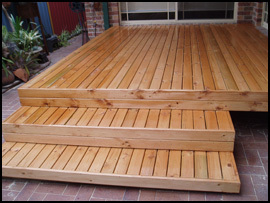 This ensures better circulation around the treated pine decks which helps to prevent rotting. Don’t put the decking grooved side up as this makes the deck more slippery, and almost impossible to clean and maintain correctly. 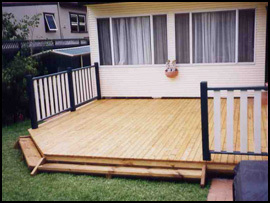 Once the decking is completed it should be protected from the elements using decking oil or water repellent. 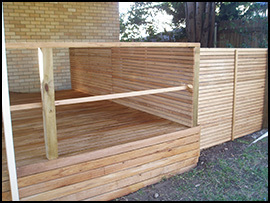 As well protecting the deck, the oil or water repellent will enhance the beautiful colours of the natural timber. Fixing your decking is very important. 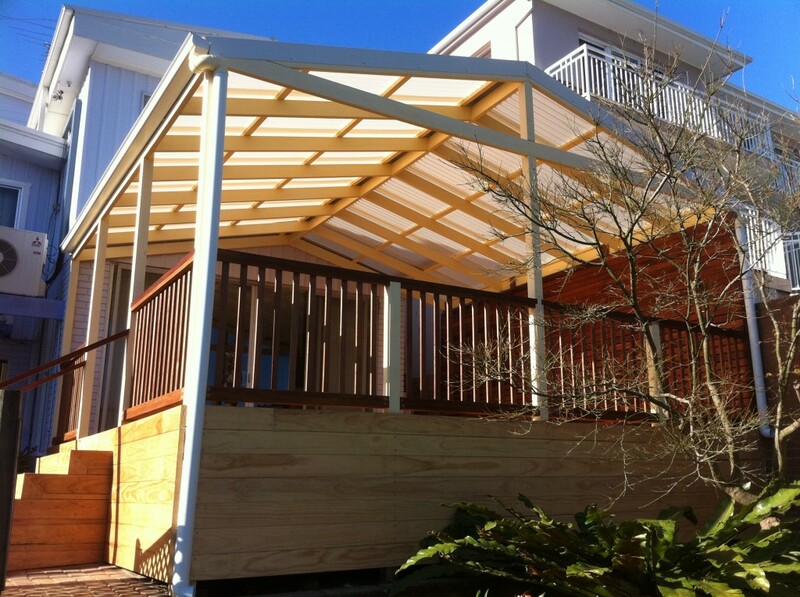 Many decks have been ruined through the use of inappropriate fixing materials and methods. The best way to fix your deck down is to use screws, followed closely by hand nailing it. When using either method, you should always pre drill your hole to approximately 75% of the diameter of the fixing that you intend to use. This will prevent splitting of your timber when installing.